Be a Full Stack Power BI Jedi – A walkthrough of Power BI most advanced features through Star Wars data. Are you a Power BI Jedi? Do you have the powers to become one, and join the fight for insights? In this hands-on session we will build together a Power BI report that analyzes Star Wars data from a web service. We will create custom functions to iterate over paged results and extract the entire dataset of characters and species. We will apply three different techniques to calculate the body mass index (BMI) of the Star Wars characters, and create smart mashups using Cartesian Product to classify BMI into different categories. Finally, we will apply What-If techniques to explore better BMI calculations for droids (Being made out of metal, doesn’t help your BMI). 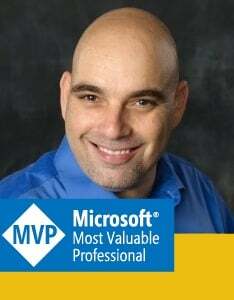 Gil Raviv is a Microsoft MVP, Analytics Group Manager at Avanade, and a Power BI expert. As a former Senior Program Manager on the Microsoft Excel Product team, Gil led the design and integration of Power Query as the next-generation Get-Data technology in Excel 2016, and became an extreme M practitioner (M=Power Query formula language). Gil is a highly skilled Software Development & Product Manager with 18 years of experience, and four US patents in the domains of social networks, cyber security, and web. He also held a variety of innovative roles in the Israeli Cyber Security industry, where he was harnessing the power of data analytics and big data to deliver new security products from advanced threat detection and reporting solutions for enterprises, to protection of kids on Facebook. In his blog DataChant.com, Gil has been evangelizing about Power BI & Power Query since he moved to his new home at Chicagoland, and recently received the Microsoft MVP Award in Data Platform Category. Read more here. Find Gil’s MVP Profile or other MVPs here.